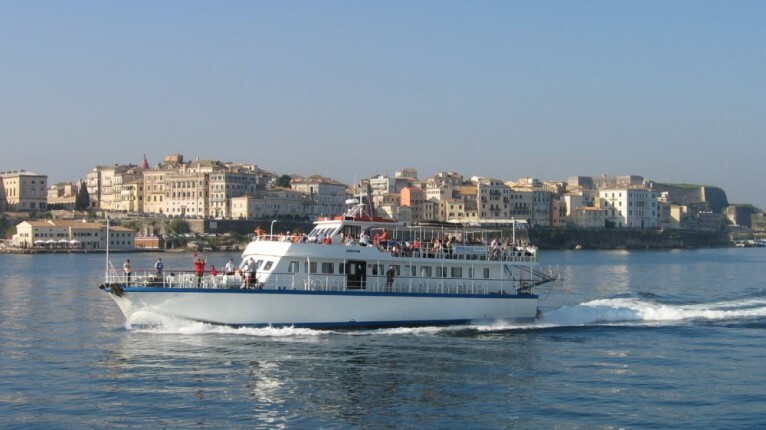 Atropa Travel Corfu in partnership with Ioanian Cruises can arrange for you to participate in this full day excursion which offers the possibility of transfers to the Corfu Port from many pick up points around the island. 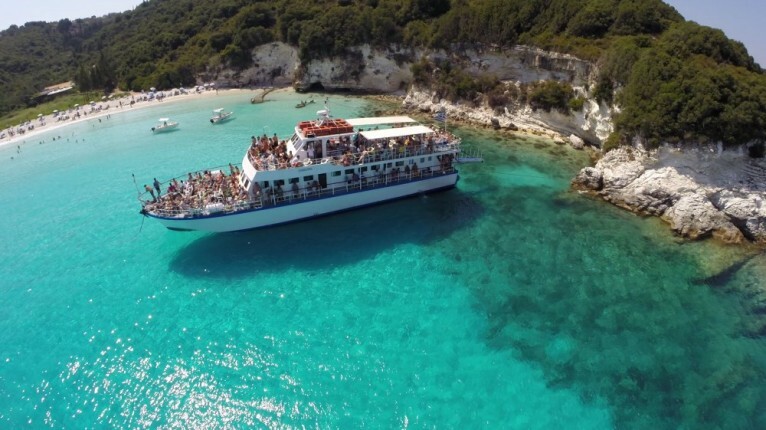 The day includes a swimming stop on the shores of Antipaxos, a visit to the Blue Caves and a stop in Gaios, the charming capital of Paxos. Setting sail from the new port in Corfu town at around 09.00 and heading south you will pass the two Venetian fortresses before heading past Pontikonissi (Mouse Island), the fishing village and resort of Benitses with its small Marina and then down towards Cape Asprokavos the most southern tip of Corfu. 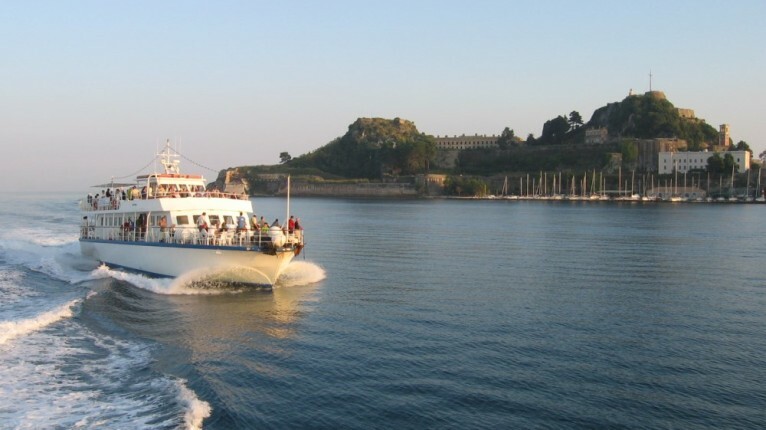 The boat leaves Corfu behind as it crosses the channel towards Paxos. 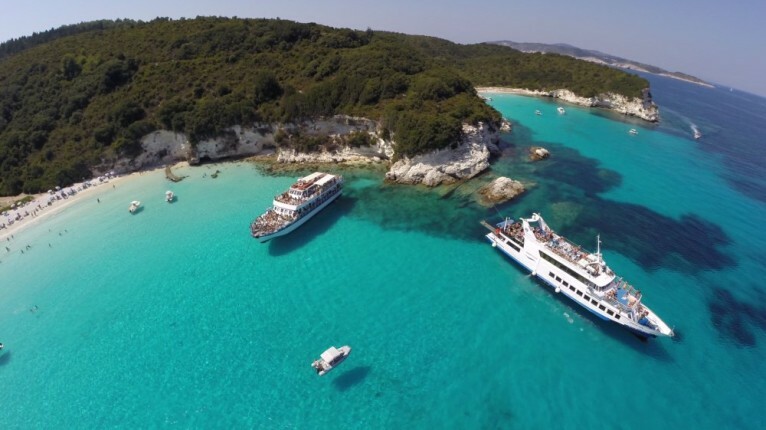 Sailing along the west coast of Paxos you will pass the picturesque little port of Laka and the boat will follow the coastline with its impressive rock formations and white beaches. 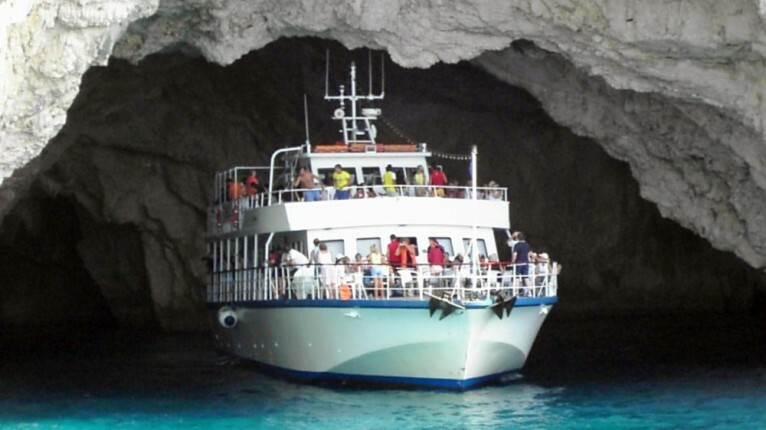 From here the boat will enter some of the sea caves with the incredible contrast of deepest blue and brightest turquoise waters. 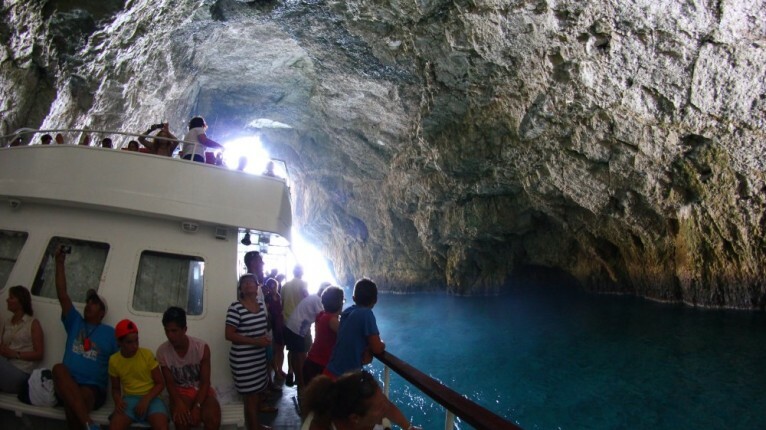 One of the caves named Ipapanti is said to have contained the Palace of Poseidon. As the legend is told, Poseidon, God of the sea, severed the most southern tip of Corfu with his trident to create a peaceful haven to spend time with his wife Amphitriti. 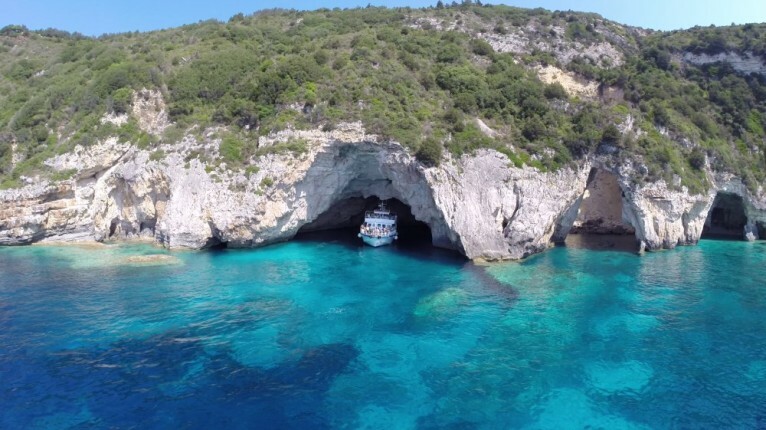 Upon leaving the caves, just a short distance away is the tiny island of Antipaxos, here you will have the opportunity to swim just offshore from Paradise Beach which has frequently been compared to the Caribbean because of its pale turquoise water and pristine white sandy beach. 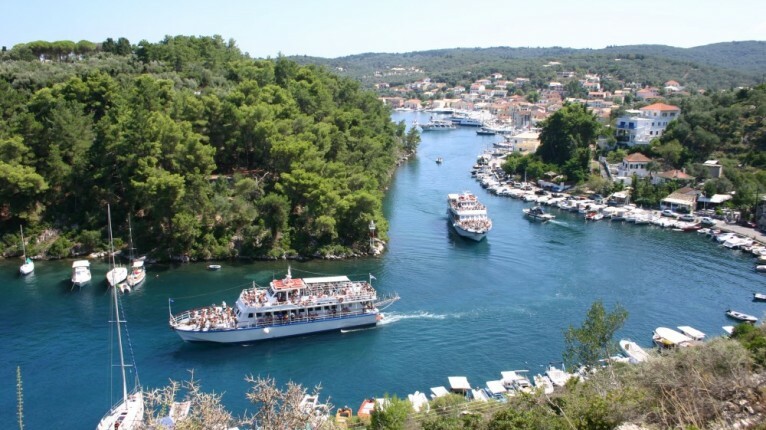 From here the boat will round the southern tip of Paxos and head up the east coast this time to the capital, Gaios where mooring will be close to the centre of the village. Gaios is quite cosmopolitan and its upmarket reputation is backed up by the sight of luxury yachts moored side by side with the local fishing boats. Here you will have time enough to saunter through the intriguing narrow streets or take a leisurely lunch in one of the many traditional tavernas. Tips to bring with you – Camera, swimwear, towel, sun cream and a light jacket for the evening sail back.